Your carpet looks its best in the first few days after having it cleaned. It feels like a miracle, the way carpet cleaning experts make your carpet look new again. While it’s impossible to replicate professional results with DIY techniques, it is possible to extend the life of that freshly cleaned shine. Most carpet manufacturers recommend a professional carpet cleaning every six to twelve months. Following these steps will help your carpet look great the rest of the year. At home, carpet cleaning can be made more effective if you’re using a vacuum that’s good for your carpet. 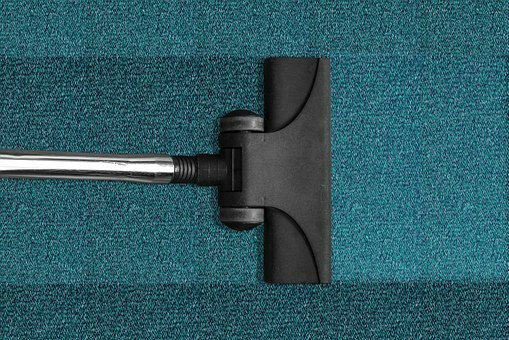 If you have softer carpets, they may need exclusive sucking action, while sturdier, pile carpets can handle a beater bar in addition to suction. The type of vacuum used is important, but just as important is the height of your vacuum. When you run a vacuum too close to your carpet, you’re putting too much pressure on it; in addition to sucking up dirt, it also pulls on loose threads and chews up the base of your carpet. Just the opposite, if your vacuum is too high during a carpet cleaning, this results in a lack of suction and doesn’t provide a thorough cleaning. To adjust the height of your vacuum, set it to the highest possible setting. Then, with the appliance running, slowly lower it. You’re at the right height when it feels like your vacuum wants to pull forward just a little bit. Emergency carpet cleaning revolves around getting up stains before it’s too late. Stains draw unwanted attention to flaws in your carpet, and can be difficult to cover up. Once a stain is set, a professional carpet cleaning may lessen the visibility of the stain but it’s less likely to remove it entirely. Common stain removers include club soda and hydrogen peroxide. Club soda helps take out wine and beer stains. By applying club soda before a stain is set, allows it to be removed; the bubbles and mild acidic action of the club soda break up the stain.Applying hydrogen peroxide carefully with a sponge is one of the only ways to remove blood. Make sure you apply it before the stain sets. 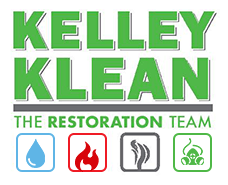 Common kitchen cleaners assist in cleaning up greasy food spills or even smudges of mud. Over all, try to stay away from harsh chemical cleaners. These may appear effective, but they can damage the fiber of your carpet. One last stain removing tip: always blot, never scrub. When you rub and scrub at a stain, you grind it further into the fibers of your carpet. Blotting applies the least amount of pressure needed to remove a stain. Don’t wait until your carpet looks dirty to clean it. If you wait too long, you’ll start to think that your dull, dirty carpet is normal. The reason a freshly cleaned carpet is so surprising is that over time, you become accustomed to a lackluster look. If you vacuum every week, you don’t have to spend much time doing it: one pass over low traffic areas of the home and two over high traffic areas can extend the life of your carpet cleaning by months. Nothing beats the fresh look of a professional carpet cleaning. You can keep this look longer when you set maintenance schedules and stick to them. Keep cleaning supplies on hand and remember to use the right vacuum for your carpet. You will be sure to enjoy a carpet that looks freshly cleaned, longer.